Written by: Paul. When? Around A.D. 60. Written from: Prison. Where? Probably Rome. 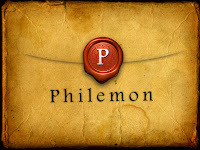 Written to: Philemon. Who? A prominent Christian in Colossae. Written about: Onesimus. Who? A runaway slave who was saved. What Paul wrote about Onesimus can be applied to every believer: We are to welcome and love every believer as an equal brother or sister in Christ. Charles Haddon Spurgeon once described Jesus as "our glorious Boaz." Like Boaz, Jesus became our near kinsman. How? Through His incarnation. Like Boaz, Jesus was willing to redeem us. Why? Because of His great love. Like Boaz, Jesus paid the price to redeem us. What? His own life. Acting on God-given opportunities is risky. But sometimes being too cautious is the greatest risk of all. What risk of faith is God calling you to take? What is the potential danger? What is the potential return? Sermon Network - This is the website I use to broadcast my sermon audio. A basic account is free. You can also use Audacity to record audio for free. Faithwebsites - The cost is about $400 per year, which is a bit expensive. But for someone who doesn't know much about web design, it's an extremely helpful service. Igniter Media - In my opinion, Igniter Media produces the highest quality worship videos. And they give away a lot of their stuff for free. You may also want to check out Muddy River Media. They offer all their resources for free. PowerPointSermons.com - A one year membership is $199 (don't pay full price). For me, the membership has been worthwhile. There is also a separate membership for motion backgrounds. EasyWorship - This program allows you to do much more than PowerPoint. It costs about $400. Open Lifechurch.tv - We use the LifeKIDS resources for our Sunday morning children's program. All of the resources on this site are free. 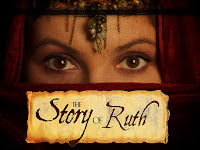 In Ruth chapter 2, some good things start to happen for Ruth and Naomi. On the surface, it appears that their good fortune is due to some lucky coincidences. But the eye of faith can see that God is behind the scenes working out his good plan for Ruth and Naomi. God's plan is often not understood until later. God asks us to trust Him. The key to forgiveness: Stop focusing on what others have done to me; start focusing on what God has done for me. Two lessons from the older brother: (1) don't resent the grace of God in the lives of others and (2) don't think that you don't need God's grace in your life.